Our latest research found that female doctors are better at empathy than male doctors, and this probably makes them better doctors. Previous studies have shown that communicative, caring doctors are more likely than their stand-offish counterparts to reduce their patients’ pain and anxiety. And patients of empathetic doctors are more likely to take their pills as prescribed, and report being satisfied with their doctor. Empathy is also needed to be a good doctor. Unfriendly doctors are less likely to get enough information from patients to make the right diagnoses, or prescribe the right treatments. One study even showed that unempathetic doctors could cause harm by scaring patients away from medical care when they need it. For our study, we analysed the combined data from 64 published studies on doctor empathy. In the studies, the patients were asked 10 questions such as: Does your doctor really listen to you? Did they make you feel at ease? And: Did your doctor put together a helpful plan of action for you? The highest empathy rating is 50. Studies with mostly female doctors scored an average of 43, while studies with mostly male doctors scored just 35. We also found that female doctors spent more time with their patients. This raises a chicken-or-egg question: are female doctors better at empathy because they spend more time with patients? Or did they take more time because they were better at empathy? It is important to answer this if we want to improve empathy in male doctors. If spending more time is key, all we have to do is let underperforming male doctors spend a few more minutes with patients. But if female doctors spend more time with their patients because they are empathetic, then spending more time with a patient won’t help male doctors improve. The chicken-or-egg problem is common in medical research. It was made famous in the 1950s when the first studies linking smoking with lung cancer were published. At that time, some people actually asked whether smoking caused cancer or cancer caused people to smoke. The distinguished medical statistician Ronald Fisher was one of the people asking these – to us now, silly – questions. Fortunately, Fisher’s views were discredited because of his links to the tobacco industry and the fact that he was a heavy smoker himself. The chicken-or-egg problem was solved in the smoking and lung cancer case by doing more research. We learned that some bad things in the smoke (especially tar) did something bad to the lungs that caused cancerous tumours to grow. 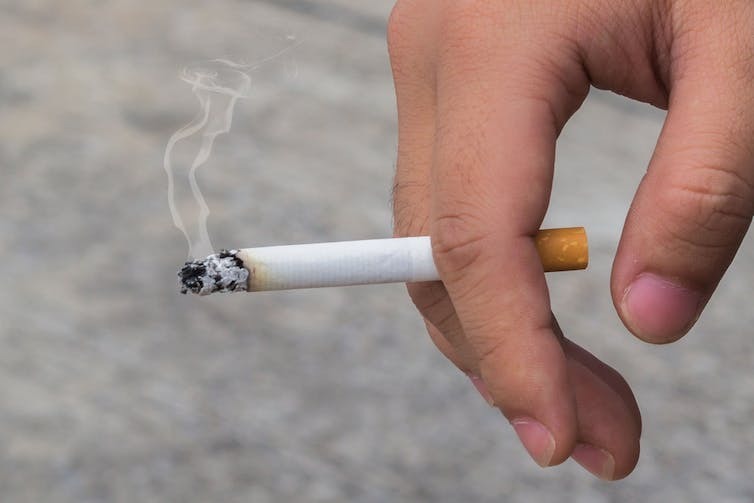 This additional information made it clear that smoking produced higher rates of cancer. Chicken-or-egg problem solved – for this case. Similarly, we need more science to solve the chicken-or-egg problem with empathy and time spent with patients. What our research has revealed so far is that doctors who are good at empathy ask patients general questions (not just ones about their health), have good body language (look at the patient instead of a computer screen), communicate that they understand patients, and devise a treatment plan based on that understanding. Empathy and time spent with patients could be inseparable, the way flour and water can’t be separated after you combine them in baked bread. Empathetic doctors are probably happy to spend more time with their patients, and more time allows them to express empathy. Still, we don’t yet know the answer to the chicken-or-egg problem when it comes to time spent with patients and empathy. Yet in the midst of all the controversy surrounding chickens, eggs, time, and empathy, one thing is certain: if you’re looking for a doctor who is good at empathy, you’re probably much better off with a female than a male.